Isaac Newton was one of the greatest and most influential men to have contributed to numerous fields such as physics, mathematics, astronomy, philosophy and theology. Born on 4th January 1643 or as many suggest, 25th December 1642 in the county of Lincolnshire, England, Newton began a life that was to become an inspiration for the scientific world for centuries to come. As a premature baby he lacked the physical well-being of his age and the remarriage of his mother had caused him severe resentment for her and his stepfather. After his early education from ‘The King’s School’ in Grantham, Newton tried his luck for Trinity College of the Cambridge University. Succeeding in his attempt he entered Trinity College in June 1661 where he acquired knowledge of the modern philosophers and astronomers like Descartes, Galileo, Kepler and Copernicus. He showed immense aptitude in mathematics and physics and soon he was working on binomial theorems and developing mathematical theories that were later to form a branch of mathematics called infinitesimal calculus. When the university closed down due to the Great Plague in 1665, Newton seized this as a chance for him to work on his theories on calculus. He worked in optics and his law of gravitation which as we know started from the fall of an apple on his head. 1667 marked the year he became Fellow of Trinity College and in 1669 the Lucasian Professor of Mathematics. 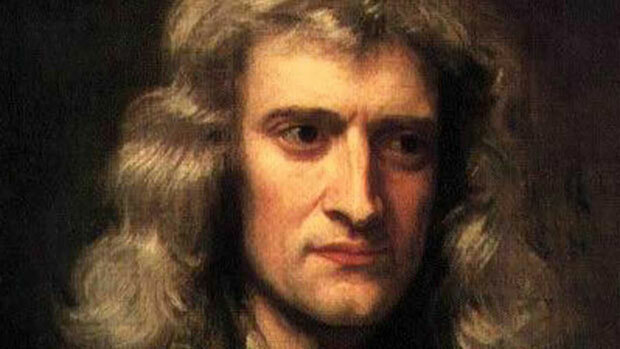 Newton worked in all branches of mathematics portraying pure brilliance in each one. He particularly advanced calculus by giving solutions to problems of analytical geometry by using differentiation and integration. Newton’s method, Newton’s Identities, binomial theorem, improvements to the theory of finite differences and solution to Diophantine Equations are all credited to Newton. His work in the field of Optics also resulted in major advances that gave clarity to previously vague theories. Newton investigated through various experiments, known as the ‘Experimentum Crucis’, the refraction of light showing that when white light passes through a glass prism, it forms into spectra of different colors with each color refracting at a different angle. He used various media like oil, water and even soap bubble to work more on his color theory. His work ‘Opticks’ is a model of his theories of Optics, published in 1704. Newton’s Law of Gravitation was conceived in 1665. From that moment on Newton work in mechanics and physics started to change the perspective of the world with ground-breaking theories. He wrote ‘Principia’ which was a series of three books each one dealing in different concepts. Book one dealt with basic mechanics and explanation of gravity controlling the motions of celestial bodies. The second book was about the theory of fluids and their motion and density whereas the third books shows the law of gravitation affecting the universe. Newton was the master of all sciences. He did a considerable amount of work in chemistry and alchemy. He also conducted several researches other than science which were in theology, prophecy and history. Though he rejected the sacrament and shunned many other religious beliefs for being superstitious and illogical, Newton can be called a Unitarian for his passion to combine knowledge and faith.